Isaac is now 9 months old and well weaned onto food. He absolutely loves eating and it gives me so my joy to cook for him and watch him eagerly try lots of new flavours. He's on 3 full meals a day and whilst they are all usually home cooked, shop bought food pouches are so handy for days when we are out and about. 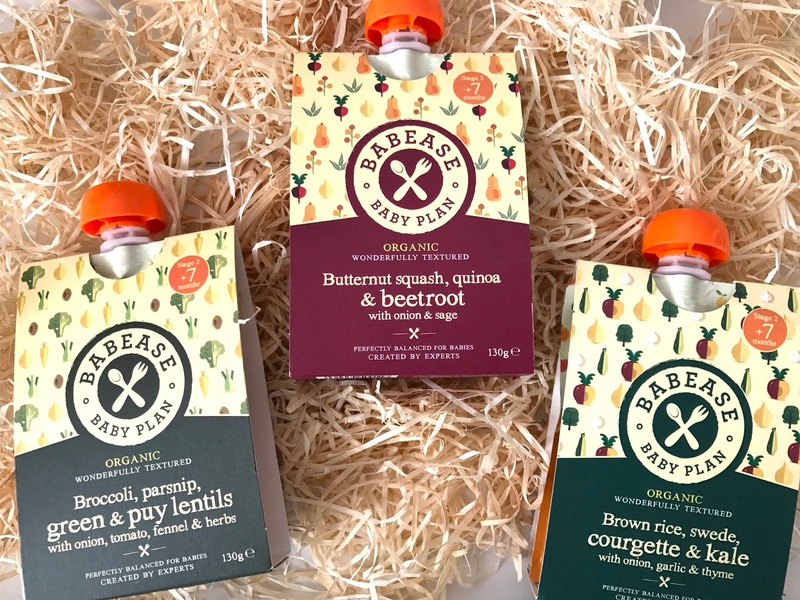 Babease* is a baby food brand I'd heard of from a friend but never come across in the shops myself, so when I received these in the post, I couldn't wait to give them a go. I have to say, Isaac isn't keen on all food pouches as we've tried a few of the Ella's Kitchen ones before and he just refused to eat it. 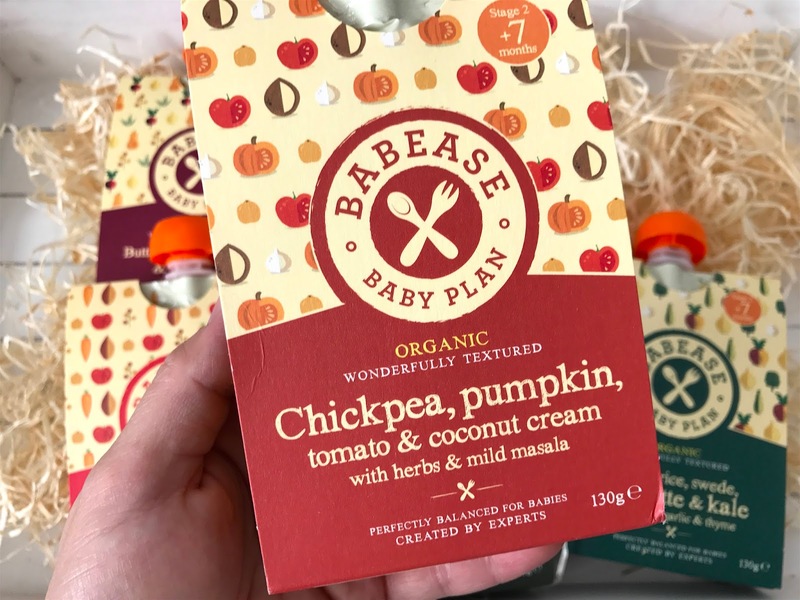 All the flavour combinations are super healthy sounding and are packed with super foods such as quinoa and kale; ingredients that you wouldn't necessarily associate with baby food! 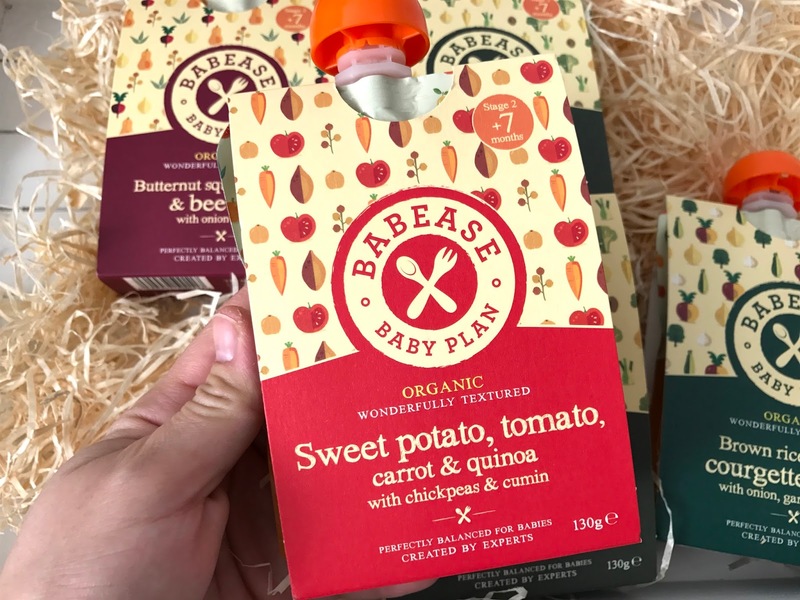 Babease aims to create real food for babies, and not just baby food. All their pouches are organic and vegetable led, and the current range comprises of 11 varieties. The texture is good, not too thick and with texture. Out of all the flavours, Isaac seemed to love the sweet potato, tomato, carrot and quinoa the most. It was lovely and sweet and a good depth of flavour thanks to the cumin and tomato. He wasn't so keen on the other flavours and I feel this is mainly because he is used to meals with meat in them, like baby bolognese or baby chilli con carne, so I ended up using the other pouches as a cooking sauce. He enjoyed them much more this way and it saved me time since I didn't need to spend time prepping all the vegetables etc. 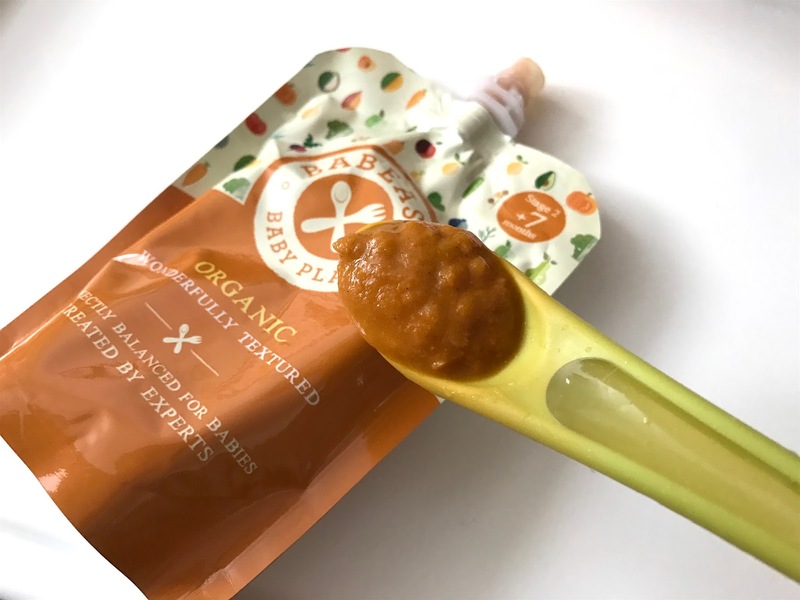 But being a baby food pouch, the main point of them is to grab and go and these just wouldn't work for us. 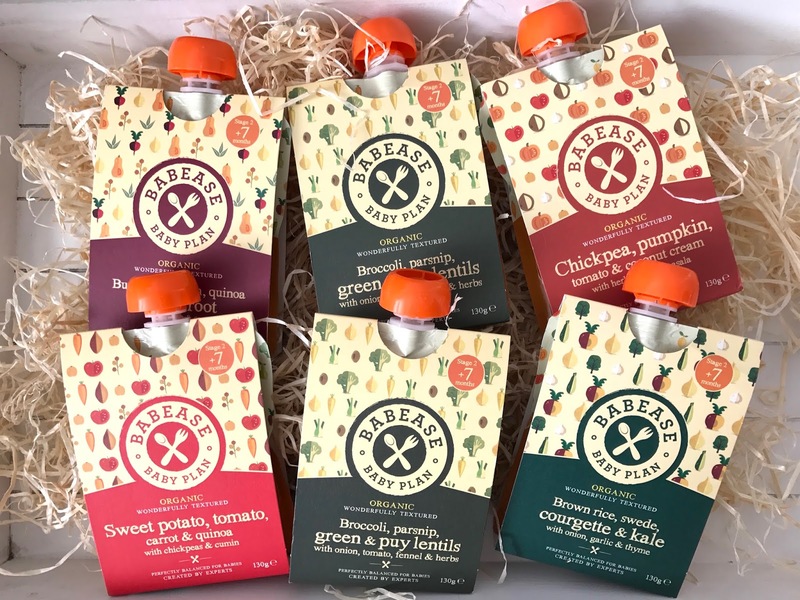 Another thing that I didn't like about these pouches, is that the flavour description is printed on the outer cardboard sleeve, and once you take it off to warm up, you can't re-read the flavour as it's not printed on the actual pouch. And in an age where we are far more conscious of the environment, the sleeve really is unnecessary and would impact my buying choices as a consumer. 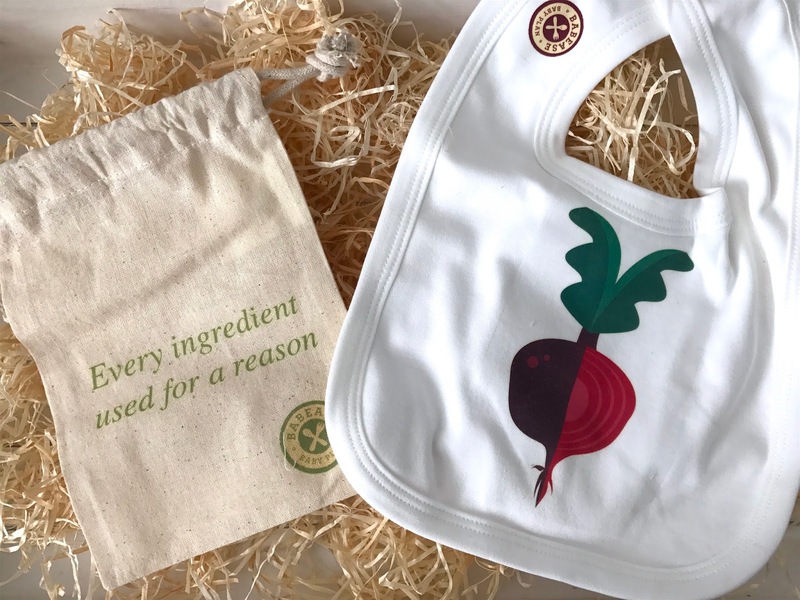 The bib is a lovely touch with a cool print on it. 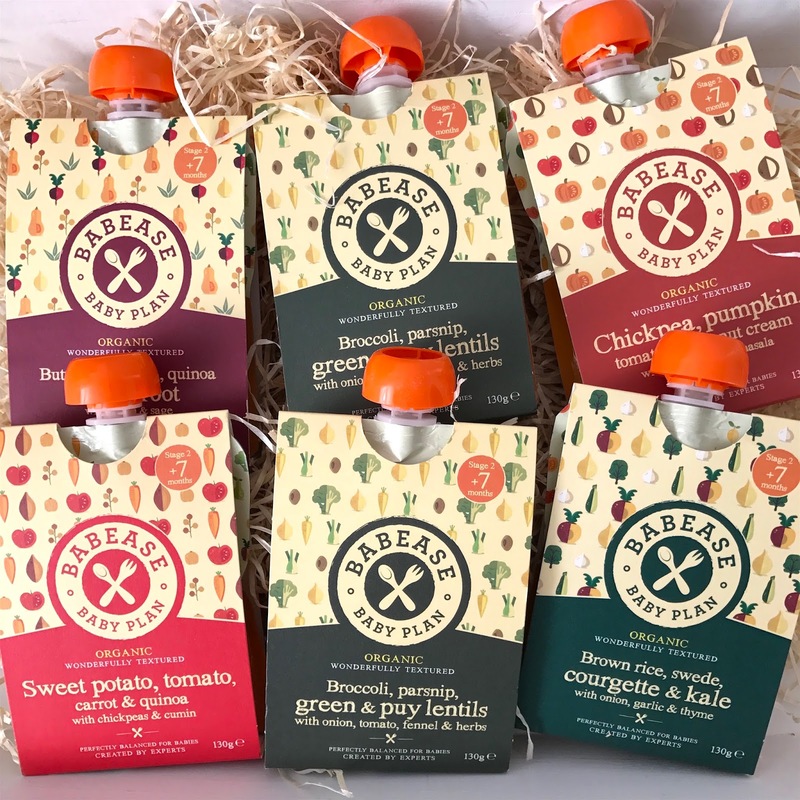 Have any of you tried Babease Baby Food Pouches and what do you think of them? *These were sent to me for review. All opinions are my own and unbiased.